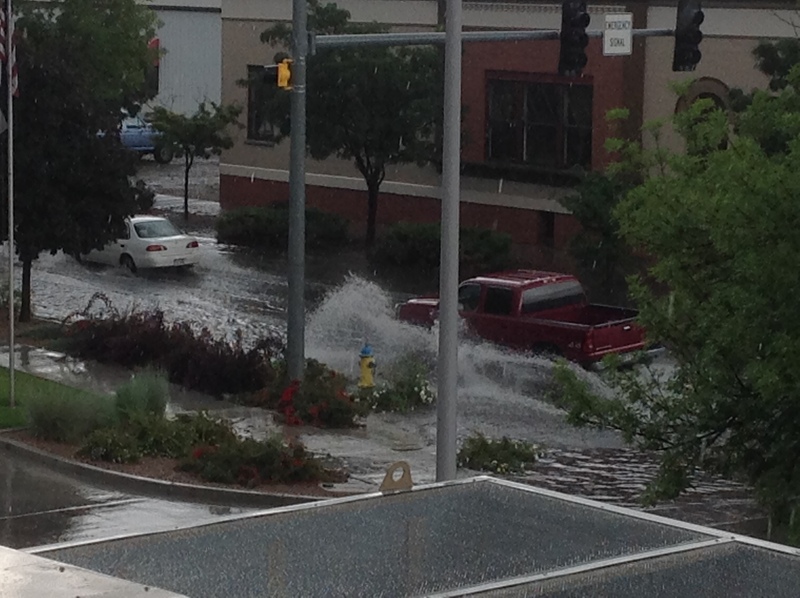 We are responding to reports of street flooding and debris in the roadways both in and around the city. Drivers need to go slow and be watchful for items that have washed into the roads. We are in the process of working with School District 51 and the school bus company to make sure they are aware of the situation. We’ll post more information as we get it. This entry was posted in GJPD News and tagged school buses, School District 51, street flooding.